PSYCHEDELIC FURS REISSUE VINYL ALBUMS! THE PSYCHEDELIC FURS are to have their original albums reissued on heavyweight vinyl next month. The band have been enjoying a period of renewed activity recently, including a Singles Tour of the UK last September, and culminating in a sold-out performance this month at London’s Royal Festival Hall as part of Robert Smith’s Meltdown Festival. 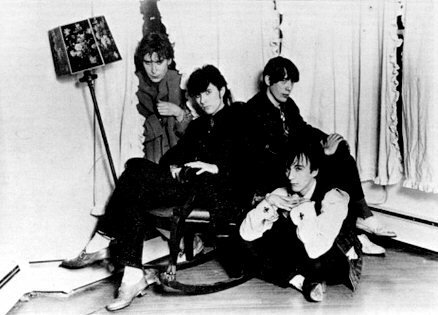 Formed in South London in 1977 around Surrey siblings Richard and Tim Butler, the Furs released seven albums between 1980 and 1991. Signing to CBS, the band’s self-titled debut was followed a year later by Talk Talk Talk, spawning the classic singles ‘Pretty In Pink’ and ‘Dumb Waiters’. The Todd Rundgren-produced Forever Now saw a move toward a slicker sound and US success with the single ‘Love My Way’, while 1984’s Mirror Moves yielded more hits in ‘Heaven’ and ‘The Ghost In You’ as well as anticipating the rise in dance music with ‘Heartbeat’. The band’s career peaked in 1987 with the album Midnight To Midnight following on from the success of John Hughes’ Furs-inspired movie Pretty In Pink, with the band headlining that year’s Glastonbury Festival. Original drummer Vince Ely returned for 1989’s Book Of Days, which saw a return to the edgier post-punk sound of the early 80s, before the band switched labels to East/West and revamped their line-up once more for 1991’s World Outside. Pressed on 180gm vinyl and packaged in replicas of the original sleeves, the albums are set for release on 27 July through Sony Legacy and are available to pre-order here.